Machaba Camp is located in the Khwai Concession, adjacent to the Okavango Delta's Moremi Game Reserve , one of the most beautiful reserves in Southern Africa, and offers spectacular game viewing. Abundant Elephant abound, often passing the camp looking for Acacia pods on their way to the waters of the Kwai River. Machaba Camp is an intimate tented safari camp in the game rich Khwai Concession, offering a classically luxury safari experience. Machaba's tents are on the ground amidst a riverine forest, with old knobthorne, red bushwillow, raintree and leadwoods above and around it. 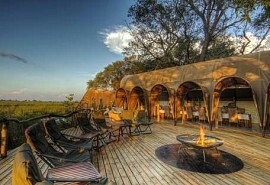 Each of the 10 luxury tents are in the tree line along the Khwai River, offering excellent views right from your room! Spa Therapist – treatments include massages and facials done in guests rooms. Machaba has a game-viewing hide overlooking the river at which guests can be dropped off, and then collected again at a pre-arranged time. 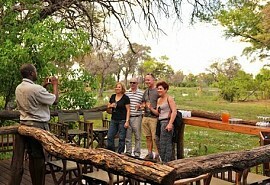 Other activities at Machaba centre around two game drives per day. The Khwai area is a big game experience - Buffalo, Elephant, Lion, Zebra, Wildebeest, Giraffe and many different species of antelope abound. The area offers a blend of open grasslands, seasonal floodplains and the permanent water of the Khwai River system. 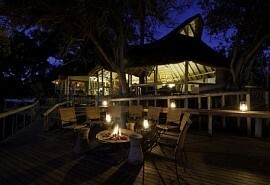 Kanana Camp is a luxury safari camp located in the southern part of the Okavango Delta. 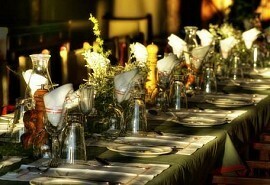 It is the perfect camp to visit to experience an all round Delta safari. 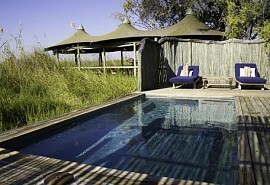 The camps offers game drives, bush walks, mokoro rides and boating activities.